These double-ended, single-unit cars were part of a mini-fleet of 10 delivered to the IND by Budd in 1949. They were built to test new technology and were intended for a Second Avenue service that never happened. 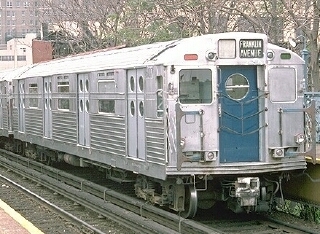 The R11 fleet was the first stainless steel class built for the NYC subway system. They were rebuilt in 1965 and reclassified R34. They were not retired until the 1970s. One remains in the Transit Museum. Because only ten cars were built, and as a result of their (1949) $100,000 per car cost, they were nicknamed the 'Million Dollar Train'. Availability: NOW. 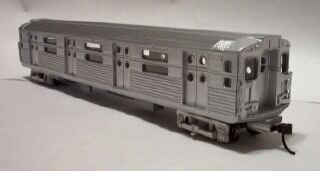 This model will be discontinued in 2013.